The control panel is one of the most vital components of a generator. It serves as the user interface for the unit where monitoring and adjustments take place. A generator control panel upgrade can significantly improve the performance of the machine. 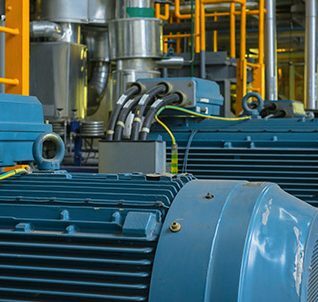 Control panels for generators today come with varying levels of monitoring solutions, and these options are crucial for the machine’s functionality. These control panels are typically connected to the generator’s engine, engine electronic control module, generator sensors and other control components through the use of a connection box. These boxes also house relays, timers and other critical components to keep your business running as efficiently as possible in any situation. Remote monitoring: Operators can review various performance parameters from a central location without having to look inside the unit. Automatic starting: The control panel will enable the generator to start automatically within seconds of a grid outage, which prevents a lengthy disruption of electrical power. Emergency shutdown: There’s a switch on the panel that allows operators to shut off the generator during a crisis. Overheating, inconsistent variations in speed, or other factors such as wear & tear, ambient weather conditions, and hardware fatigue could prompt the need for emergency shutdowns. Efficiency monitoring: Various indicators on the panel provide data regarding the generator’s current operating status and performance levels. Voltage monitoring: Operators can watch voltage levels and make adjustments up or down as needed. Alarms: The control panel will display or sound alarms when an operating issue with the generator arises. Run time: Operators can see how long the unit has been running upon activation. The features listed above can help you detect and prevent mechanical and operational issues that might negatively impact generator output and performance and possibly damage the unit. Examples include an increase or decrease in coolant levels, a drop in oil pressure, abnormal changes in engine speed, system overloads and circuit breaker failure. Having access to this information can help you avoid costly repair bills and reduce the likelihood of a total system breakdown. It can also extend the generator’s lifespan and prevent the need for a premature replacement. A generator control panel upgrade is especially useful for large facilities that rely on several units for primary or standby power. You’ll be able to monitor the entire configuration from one location — you won’t have to send maintenance personnel to each generator to assess its condition. This setup can save a substantial amount of time and lower your labor costs. In general, a new control panel installation will give you and your operating team more precise control over your generators’ functionality and performance, including adjusting power output configurations. The advanced features will allow you to manage all your mission control applications more efficiently and execute additional troubleshooting and maintenance steps that are beyond the scope of your existing control panel. You’ll also have the peace of mind of knowing you’re fully prepared for the next power emergency. At Woodstock Power, we have the skill and experience to perform a control panel installation at your facility. We can also advise you regarding the right upgrade for your equipment. We work with all brand-name generators, such as Kohler, Caterpillar, Waukesha, Cummins and many others. Contact us today to learn more about our services or schedule a convenient appointment.